Embattled NBC executives have been falling over themselves, insisting they had no idea about Matt Lauer’s pervy past. But if anyone doubts that New York’s media elite was aware of Lauer’s reputation, they should look no further than a top-secret “roast” of Lauer that took place in October 2008. 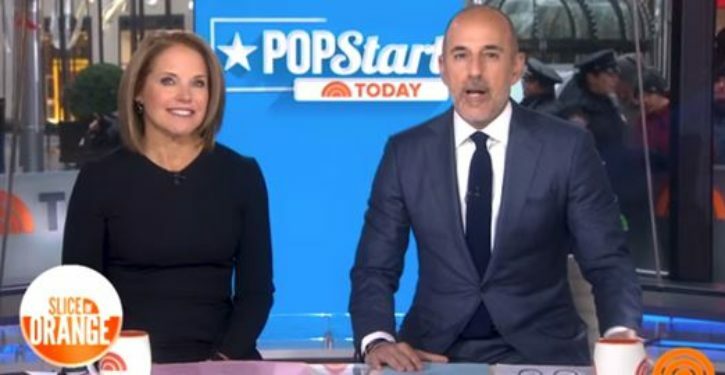 The notorious event ─ now legendary in New York media circles ─ pushed the outer limits of sexist, racist, homophobic and obscene jokes — and left little doubt that Lauer’s colleagues knew NBC’s biggest star had a troubled marriage and a wandering eye. Last week, NBC’s own Joe Scarborough, who attended the roast but said he left early, feeling uncomfortable, brought it up on “Morning Joe.” Lauer’s peccadillos, he said, were not just known about. At the roast, they were celebrated.